AUGUSTA -- Sen. Tom Saviello's bill calling for increasing Maine's tax on annual earned income of more than $250,000 a year will go forward, but without assistance from his Republican colleagues in the House of Representatives. 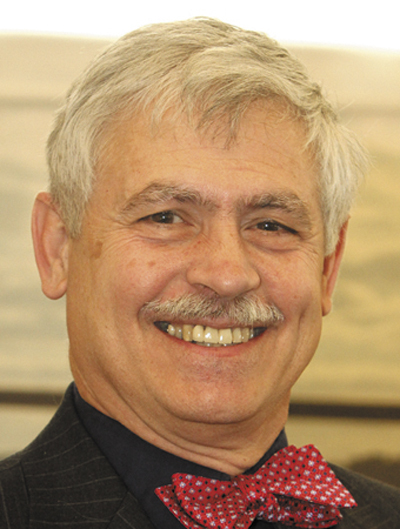 AUGUSTA — Sen. Tom Saviello’s bill calling for increasing Maine’s tax on annual earned income of more than $250,000 a year will go forward, but without assistance from his Republican colleagues in the House of Representatives. Saviello, R-Wilton, said Thursday that he had found the House sponsor he needed for his bill to increase the tax on high earners from 7.95 percent to 8.5 percent. But House Minority Leader Rep. Kenneth Fredette, R-Newport, said no one in the caucus could support the measure now. Instead, Democratic Rep. Terry Hayes, of Buckfield, will co-sponsor the bill. Saviello needed a House member to introduce the measure because the Maine Constitution says that all bills to raise revenue must originate in that chamber. House Republicans’ decision to spurn the bill signals that Republican lawmakers are either digging in to defend the tax cuts the Legislature passed in 2011 or using it to strengthen their bargaining position in the upcoming budget negotiations. Democrats have majorities in the House and the Senate. Gov. Paul LePage’s $6.2 billion budget is designed to protect the tax-cut package, which he says is important to preserve since Congress let a temporary federal payroll tax cut expire as part of the “fiscal cliff” agreement. The higher rate for high earners was in effect until 2011, when the Legislature approved a budget from LePage that reduced the rate from 8.5 percent to its present level of 7.95 percent. Saviello’s plan would raise the top rate back to 8.5 percent for earnings of more than $250,000 a year. Michael Allen, LePage’s associate commissioner of tax policy, said the change would affect 4,100 Mainers and generate $5 million a year. Saviello said he submitted the bill because his constituents had asked why high earners couldn’t pay more in taxes. The rate would apply only to income from wages and salaries, not income from dividends, business, rentals or other sources. Saviello had hoped to gain support from Rep. L. Gary Knight, R-Livermore Falls, but said Thursday he was unable to do that. Fredette, the House Republican leader, said he discussed the proposal with Knight on Thursday morning. Knight told the Portland Press Herald on Wednesday that he supports the 2011 tax cuts and would prefer to see taxes decrease for everyone, but that he hopes Saviello’s proposal can bridge gaps between Republicans and Democrats. Knight said Thursday that he withdrew his support after learning that the number of affected taxpayers was greater than he originally thought. Still, Knight said Thursday that he didn’t want to hurt the tax plan he helped to pass in 2011. He said Republican leaders did not pressure him to change his mind. Maine Revenue Services has estimated that the 2011 tax cuts reduced the tax burden for the top 10 percent of Maine earners — more than 67,500 families earning around $119,000 or more — by more than $63 million a year. Saviello’s plan would cut into that amount. The cuts also eliminated taxes for 70,000 low-income Mainers, by moving their 2 percent tax rate to zero. The top 10 percent of income earners paid more as a percentage of Maine’s overall tax burden after the changes. Saviello, who left the Democratic Party in 2005, is considered a moderate Republican. He has clashed with his party and LePage on occasion. Saviello said he hopes his proposal will spare other cuts in the governor’s budget, specifically LePage’s proposal to eliminate the state’s drug program for the elderly. He said he is willing to support other welfare cuts and the governor’s proposal to save $14 million by making school districts contribute to the cost of the teachers retirement fund. According to the nonpartisan Tax Foundation, Mainers paid an average of 10.3 percent of income in taxes in 2010.